FIANNA FÁIL TD Barry Cowen has declared his ambition to be leader of Fianna Fáil as he prepares to represent the party in a televised deputy leader debate tonight. The party’s environment spokesperson will go up against James Reilly (Fine Gael), Alan Kelly (Labour) and Mary Lou McDonald (Sinn Féin) on TV3 at 10.30pm tonight. Speaking in Dublin today, the Offaly TD insisted that he is only doing the debate because of his proximity to Dublin. Fianna Fáil has not had an official deputy leader since Éamon Ó Cuív relinquished the position in 2012 after he defied the party whip on the EU Fiscal Treaty referendum. Cowen insisted that all of Fianna Fáil’s parliamentary party are now deputy leaders. Of course I’d like to be deputy leader, I’d love to be leader. The position is in contrast to what Cowen told TheJournal.ie in June last year when he said that he has “no leadership ambitions”. Today, he insisted that Micheál Martin is pitching himself to the electorate as an “alternative Taoiseach” and also said there are “great differences” between his party and Fine Gael, describing the two as “not compatible”. There are great differences between us, in case you haven’t noticed, between Fianna Fáil and Fine Gael, in relation to tax, universal social charge, public services, pensions and pensioners, costs to families and water, just to name a few. Cowen and McGrath faced more questions about a potential post-election coalition with Fine Gael at a press conference on mortgages this morning. Both insisted that they would not “preempt” the verdict of the electorate. Fianna Fáil’s proposals include legislating to force banks to reduce standard variable mortgage rates, with Central Bank sanctions for those that don’t. McGrath said current standard variable rates are double the EU average. It’s also proposing that people who have a track record of paying their rent for three years should be given credit towards a deposit for a mortgage. Fianna Fáil also wants to extend mortgage interest relief to 2020. It’s currently due to expire next year. Email “Barry Cowen says he wants to lead Fianna Fáil”. 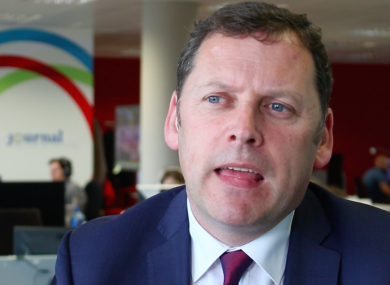 Feedback on “Barry Cowen says he wants to lead Fianna Fáil”.